The disappointment is etched on Paul McGonigle’s face. 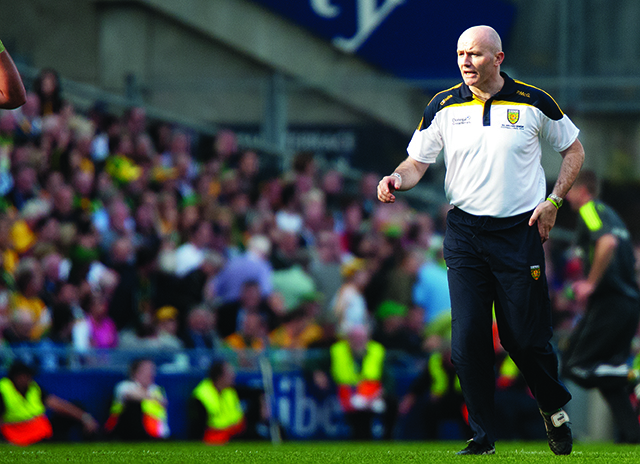 Performance is a real buzz word for this Donegal team, and the lack of a performance is as puzzling as it is devastating. “We were looking for a performance today, a real quality performance, and had we got that we could have lived with any result,” the Buncrana man said in the access tunnel under the Hogan Stand in the hour after Sunday’s All-Ireland final defeat. “We have to give Kerry credit in that they did frustrate us, but ultimately we played well within ourselves. Having conceded a first minute goal to Paul Geaney and a point soon after, Donegal battled back into the game and held Kerry to just two points for the next half hour managing to go into the half time break all square. While Donegal also responded strongly to Kieran Donaghy’s 52nd minute goal, the effort to get back within a point of Kerry took its toll. “The first goal was pot luck,” McGonigle said. “The ball goes in there and we had questioned whether Paddy McGrath was the right man or not in that position – Geaney has a good pair of hands and finished well. “The second goal was just one of these things that happens. And when it happens in a final, you get crucified by a team of the calibre of Kerry. Kerry pushed on again and Donegal could not re-ignite the spark. “Paddy McBrearty came in and did what he has been doing in recent games for us. “He made a very significant impact and kicked a couple of good scores, but they hit a wonder score [through Johnny Buckley] and we couldn’t get back to level, or nudge ahead. “We needed a brilliant block, or an interception, something that would have driven us on to play the way we can play. “But that spark just never came. “It came after 20-odd minutes in the Dublin game, but it never came today at all. We had a couple of half goal chances, but we just didn’t deserve to win today and the best team won. “If we had played as well as we could, we would probably have won by 5 or 6 points. And that’s the really heartbreaking part of it. “They have put in so much work all year long it’s going to be very hard and sore on these lads.